Bound for the Great Mysterious? Pick me up on the way. Driving up to Tall Pine, Minnesota? Pick me up on the way. Let’s stop at the Cup O’Delight Cafe. I’ve heard tell their coffee is magical and the company compelling. August 1, 2011. 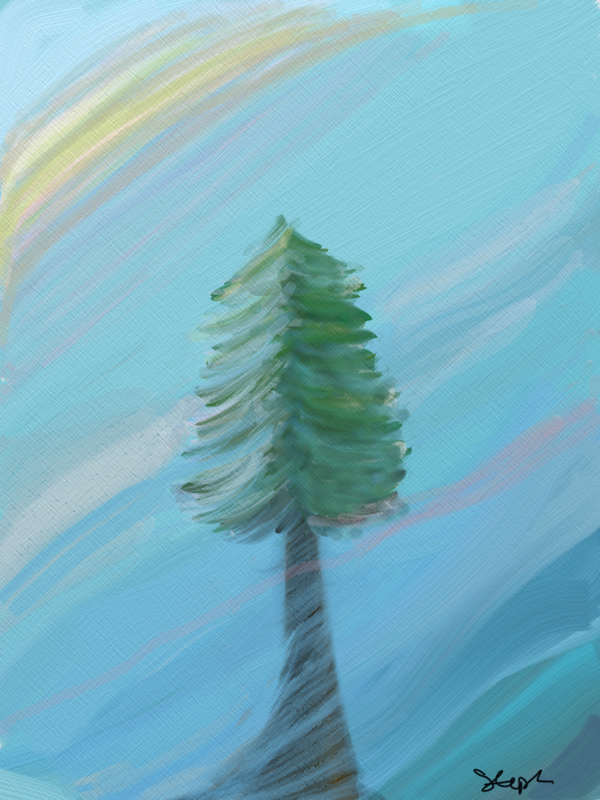 Today’s post was inspired by the NaBloPoMo prompt, “What is your favourite book?” That would be a tie between two of Lorna Landvik’s books, “The Great Mysterious” and “The Tall Pine Polka.” As for the art, I’m still learning how to use the painting app ArtRage on my iPad. I was distracted as I painted this. I wished I was on my way to the great mysterious.